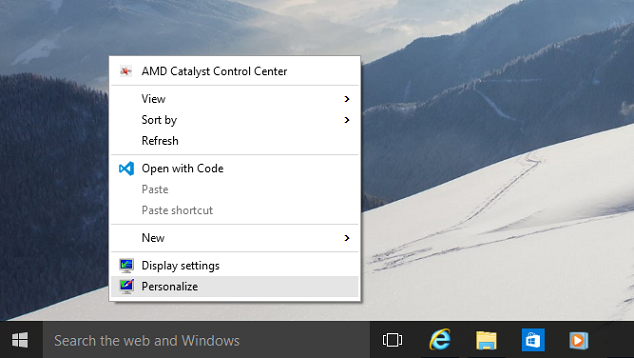 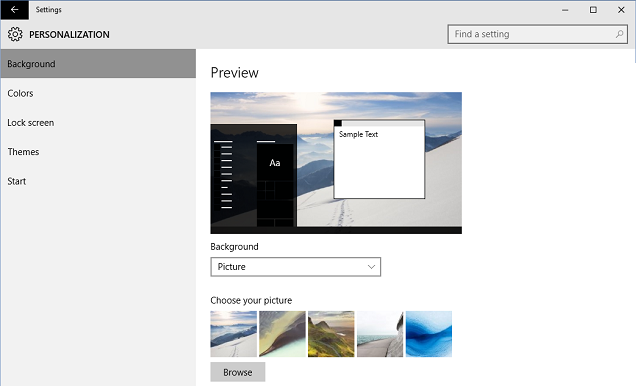 Select 'Picture' option to set your favourite picture as screen background. 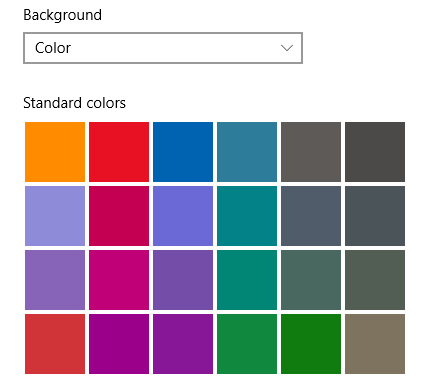 Select 'Color' option to set your favourite color as screen background. 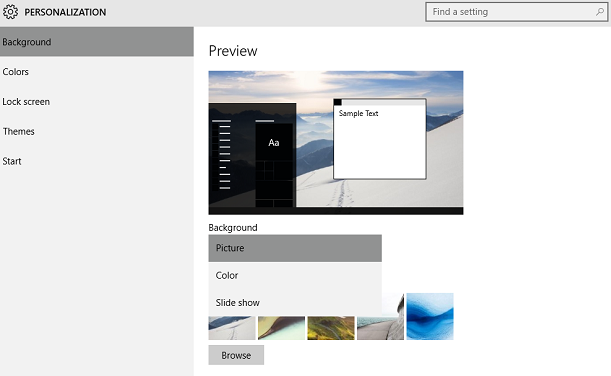 Select 'Slide show' option to set your favourite pictures as slide show on screen. 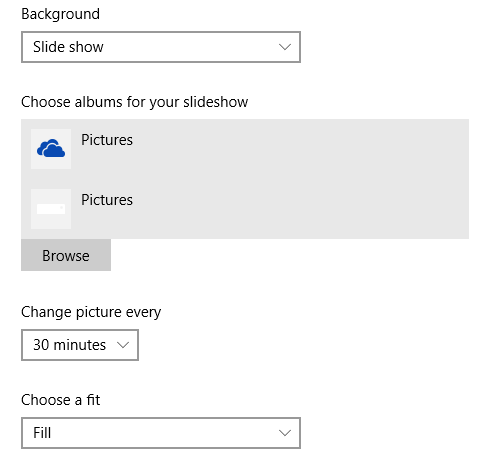 Click on Browse button and choose your favourite pictures folder or albums for slide show.